Quality is always the result of a great passion, and where agriculture is involved, it is always the result of long, hard work. The history of Freddi Prodotti Ortofrutticoli began a long time ago in 1926, when grandpa Umberto, whom everyone called “l’Ortlanein” (little vegetable gardener) in the local dialect, went off with his hoe to work in his vegetable plot in Sant’Ilario. At first, he sold his produce in the village, then he started taking his products by horse and cart to the nearby villages of Taneto and Campegine, both in Reggio Emilia. Since then, the small business of Freddi has steadily grown to become a well-established international business. The purchase of technology and the strength of an entire family have continued to promote local produce. 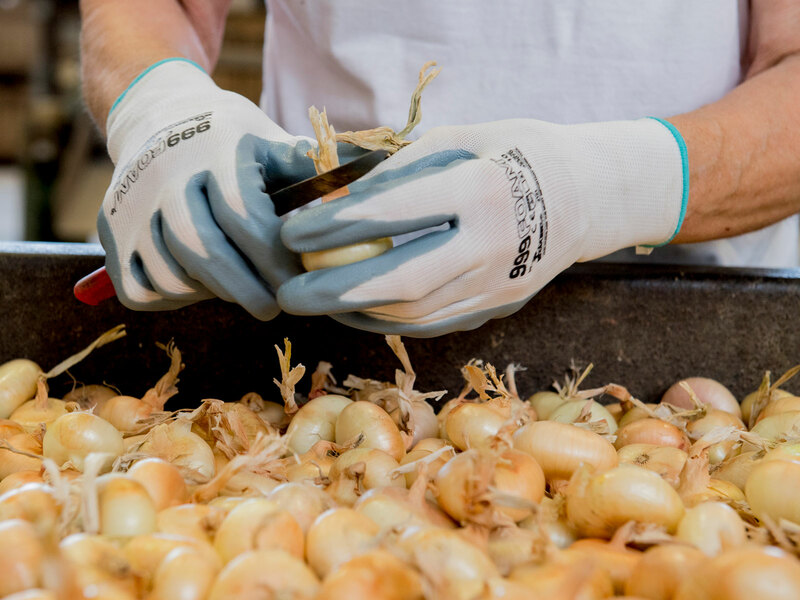 The fields in which the golden onion, copper-skinned onions, Borettana Onion, shallots of Emilia, and potatoes are cultivated, are selected and controlled directly by Matteo Freddi and the company’s agronomists, to guarantee products of a uniform standard and high organoleptic quality. Some suppliers have worked with the company for at least 30 years, building solid relationships of trust. This is a great added value for the entire production chain. Around 70% of the products come from northern Italy, while 30% are from southern Italy and abroad. The potatoes selected by Freddi are grown around Bologna, in the Veneto and Piedmont regions, and in some cases, in the French regions of Picardie, Beauce, and Champagne. 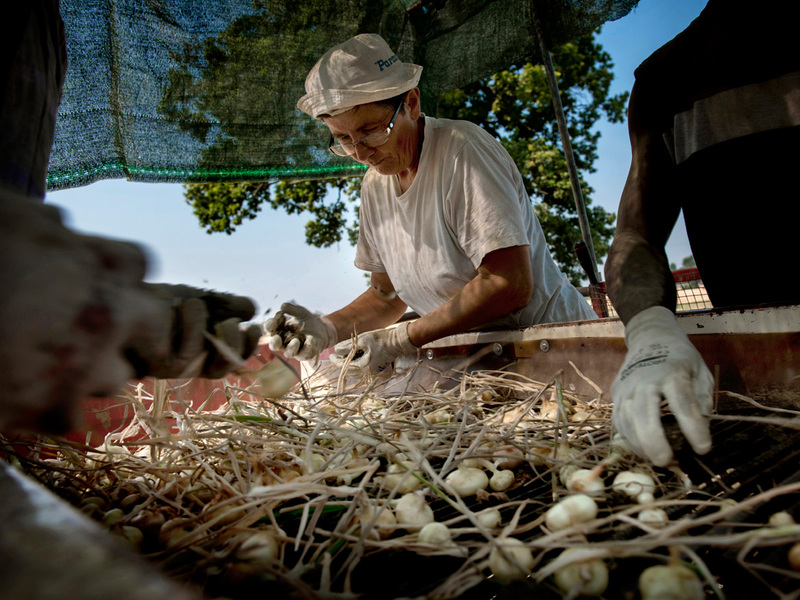 The onions on the other hand are produced in the areas around Reggio Emilia, Modena, Parma, and Piacenza. Selection begins with the field. The most suitable fields are chosen already in January; potatoes and onions are sown between February and March, without the use of phytosanitary products. Integrated pest management is pursued in all phases of the production chain in compliance with rigid specifications. The farmers use traditional methods, minimising any treatments: weeds are removed using the hoe, in the hope that the weather conditions are good. The farmer’s work is monitored by the agronomists of Freddi, and 50% of the crops are harvested by hand, because in this way the products last longer. Onions for the US market, for example, must be in immaculate condition and harvested exclusively by hand to guarantee perfect preservation. This is more difficult and costly, but allows Freddi to maintain a high quality. 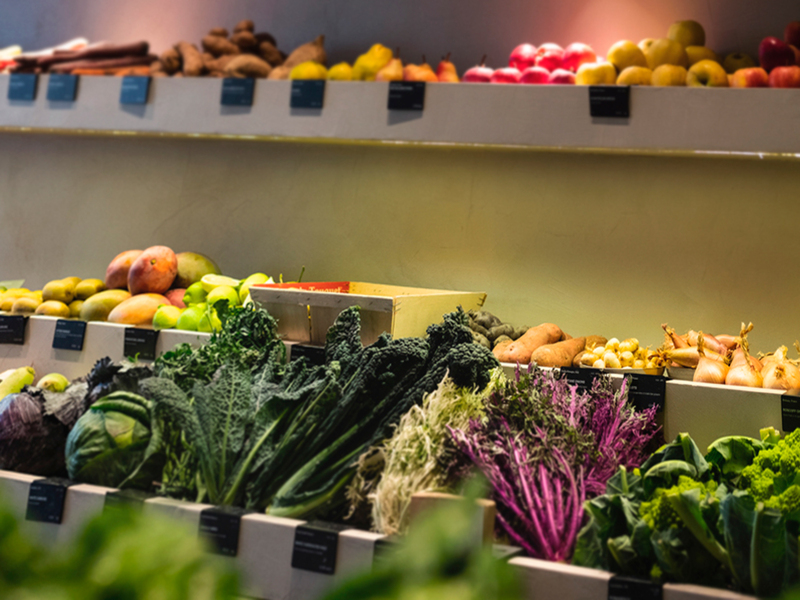 From the fields to the warehouse, production is carried out using environmentally friendly methods, which are simple and minimise the resources needed. 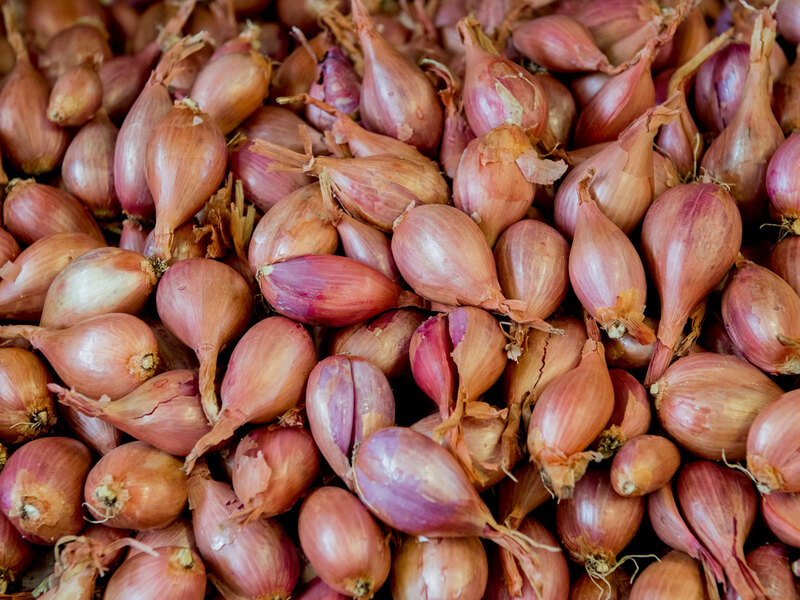 The specific characteristics of onions in particular, make them a naturally sustainable product that does not require the use of phytosanitary products. Safety for the consumer, traceability, respect for the environment, and the protection of health of those handling the products, are also guaranteed by the European certification GlobalGap (Good agricultural practice). In addition, the products bear the “Controlled Quality” seal of the Emilia Romagna region, which is awarded to those companies that produce using integrated methods in line with specifications that guarantee the quality of their products, from cultivation to consumption, throughout the supply chain.